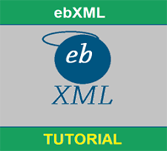 ebXML stands for Electronic Business XML. It is a modular suite of terms that gives businesses of any size the capacity to conduct business over the Internet.This concise lecture covers the basic architecture of ebXML and how it gives consistent business semantics and a standard technical infrastructure for business exchanges. This lecture has been designed for beginners who would like to learn the basics of ebXML such as its architecture and how to work with its components. To make the most of this lecture, you should be familiar with either VC++ or C/C++. In addition, you should have a good understanding of the concepts of Windows.